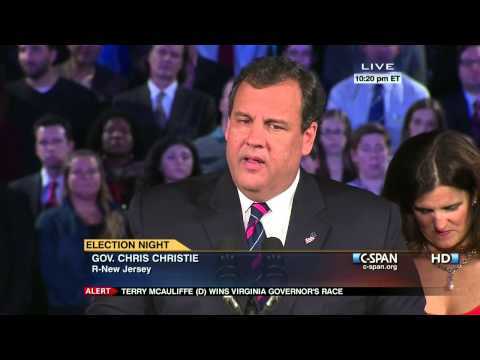 Chris Christie was inaugurated as the 55th Governor of the State of New Jersey on January 19, 2010. He was re-elected with 60% of the vote in November of 2013 and served two terms as Governor. He left office in January of 2018. During his time in office, Governor Christie emphasized the issues of fiscal responsibility, pension and health benefit reform, education reform and the opioid crisis gripping his state and the nation. His March 2017 law restricting opioid prescriptions led to a 26% reduction in those prescriptions in its first year. He also devised the state’s groundbreaking response to Superstorm Sandy, leading the rebuilding of the state’s housing, infrastructure and public schools and setting a bi-partisan example for storm recovery. 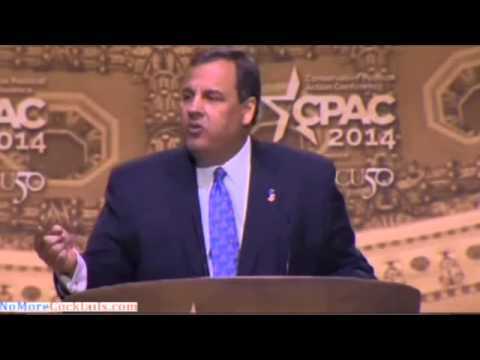 Governor Christie was a leader among his colleagues as Governor. He was elected Chairman of the Republican Governors Association in 2014, leading the organization to a record fundraising effort and the election of 31 Republican Governors. This was after he served as Vice-Chairman of the RGA in 2012. He also was elected to the Executive Committee of the National Governors Association and served from 2010-2013. 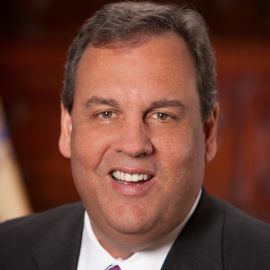 On March 29, 2017, President Donald J. Trump appointed Governor Christie as Chairman of the President’s Commission on Combating Drug Addiction and the Opioid Crisis. Governor Christie led the Commission on a seven-month investigation of this issue, holding hearings around the country. The Commission issued an interim report on July 31, 2017 and a final report on November 1, 2017. The reports contained more than 65 substantive recommendations, all of which were adopted by President Trump. Prior to his service as Governor, he served as the United States Attorney for the District of New Jersey from January 2002 to December 2008. He was nominated by President George W. Bush on December 7, 2001 and unanimously confirmed by the United States Senate on December 20, 2001. As the chief federal law enforcement officer in New Jersey for seven years, he led the fight on terrorism in the post 9/11 period, increased resources to fight gang violence, gun crimes and political corruption. His office brought 130 cases prosecuting political corruption at all levels of New Jersey government and never lost a case. He served as one of seventeen U.S. Attorneys on the Attorney Generals Advisory Council in Washington, DC. He was in the private practice of law from 1987-2001 specializing in corporate law, securities matters and appellate advocacy. He graduated from the University of Delaware with a B.A. in Political Science in 1984. He was awarded a Juris Doctor degree by Seton Hall University School of Law in 1987. He is admitted to the Bar of the State of New Jersey, the U.S. District Court of New Jersey and the United States Supreme Court. He is now a Senior Legal and Political Commentator for ABC News and the Managing Member of the Christie Law Firm and Christie 55 Solutions, LLC in Morristown, NJ. Governor Christie married his wife Mary Pat in 1986. They have four children: Andrew, Sarah, Patrick and Bridget. They currently reside in Mendham and Bay Head, New Jersey. A bipartisan commission appointed by Gov. Chris Christie on Thursday released a more detailed plan to drastically reduce New Jersey's public employee pension and health care costs.